We provide services for a variety of courts and surfaces. Whether you have an asphalt or concrete sport court, having your court painted will improve the safety, longevity, and overall aesthetics of your court. Our paints are fortified with a fine grade silica sand to provide the adequate speed you would like for your tennis court. Or, if you have a pickleball or basketball court, fortified paints will also provide a stable, slip proof environment for play. Color coating a court is very much like sealing an asphalt driveway. It will protect the asphalt, or concrete, from weathering and falling apart. 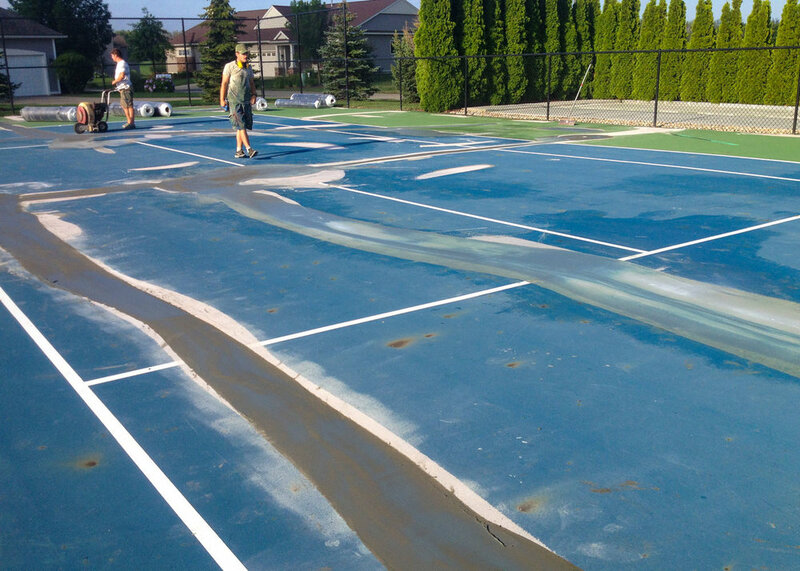 With each additional layer of paint the court will become smoother and smoother providing a uniform and consistent surface devoid of asphalt ridges. We can provide a variety of different materials that will give your court a look and feel all its own. Below are the different surface types we provide along with links to our suppliers.